BIOS (Basic Input Output System), is a means of communication between the operating system with the hardware installed on the motherboard. Bus, a term which states that the data flow system used hardware. Bus is installed on the motherboard which is used to communicate with the processor. Units used are usually the frequency (Hz) or bit data width. 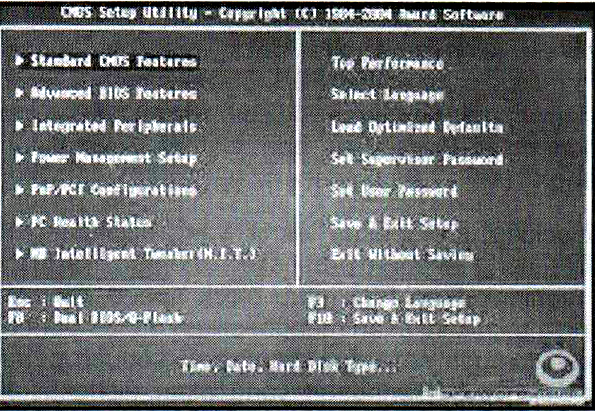 FSB, which stands for Front Side Bus, is a major bus that connects the processor to the motherboard chipset. Heatsink, diletakkandi components on processors, is used to absorb the heat generated when the processor works. Heatsinks are usually equipped with a fan to keep the processor temperature remains stable. Casing is used also need to be considered to have a good air circulation system so that the heat of the processor can be down with a good flow of air. Check Speed, is the speed of a processor or other components. Figures clock speed is the product of the multiplier to the FSB. The higher the clock speed, the higher the performance generated by the processor or hardware components that exist. Units used are megahertz (MHz) or gigahertz (GHz). Overclocking, a technique that is done to improve the performance of a processor, memory, graphics card or by increasing the FSB clock speed component. Usually these techniques will result in excessive heat than before so it required a special cooling both components to be upgraded performance. If excessive heat is not addressed it will result in damage to other components on the computer, so as to carry out the technique you need to provide either cooling or fan and the casing is right in order to reduce the excessive heat.